Going to Bali or thinking of traveling there? I recently returned from a 6 week trip to Bali and Sumba in Indonesia. Half of the trip I traveled solo, and the other half split between time with a dear friend and my husband. Here are my notes and suggestions for anyone who might find them helpful! 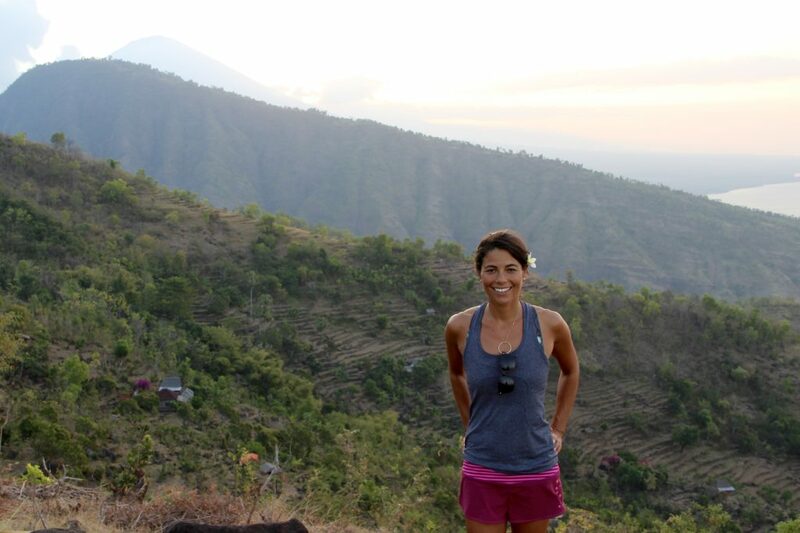 While parts of Bali are distinctly beautiful and warm, Bali’s people were the real beauty to me. The Balinese culture is rich in spirituality and creativity. There is no word for “artist” in Balinese because everyone is an artist there. Each town has an artistic specialty whether it be stone or wood-working or painting, making Bali a playground for the design savvy Westerners who build houses there. From what I gathered about their spiritual life, the Balinese have blended their native animism with the Hinduism and Buddhism that came through settlers over the years. For six weeks, I asked questions to locals about what they believed and received so many different answers that had a core essence yet many different variations. Common to all seemed to be the practice of floral and food offerings each morning and throughout the day, as well as prayer 2-5 times a day. I miss hearing the chants over loud speakers coming from the temples before sunrise, at noon, and at sunset. There was something that seemed right about this reminder to turn one’s heart towards God (regardless of one’s beliefs) throughout the day. My trip began in Ubud, the heart of Bali, and I returned there three times throughout. Yogis, please do not miss a class with Bex Tryer at The Yoga Barn, though many of the teachers at this expansive yoga paradise were fantastic. Blond and lanky, Bex seemed to embody her core message of ending suffering for all in a fiercely authentic way. She carried keen intuition into her classes, and I enjoyed each very much. While Ubud offers many gems, two that really stood out were dinner at Restaurant Locavore and a healing session with Ketut Arsana. I tried to make a reservation at Locavore when I first arrived, and the first opening I could get was a month out. It was worth every bit of the wait. The seven course menu was actually more like twenty locally sourced, beautifully crafted, delicious pieces of art. Give yourself time and go with an empty belly. Foodies, Locavore will impress! For those healer-hunting, go see Ketut Arsana at Ubud Bodyworks. I have somatic lower back pain, and in a 20 minute session with him, my lower back released in a way I didn’t realize was possible. Again, plan ahead. I had to make an appointment a month in advance. He said he wanted to see me again before I left, and while I would have liked to, his assistant couldn’t squeeze me. 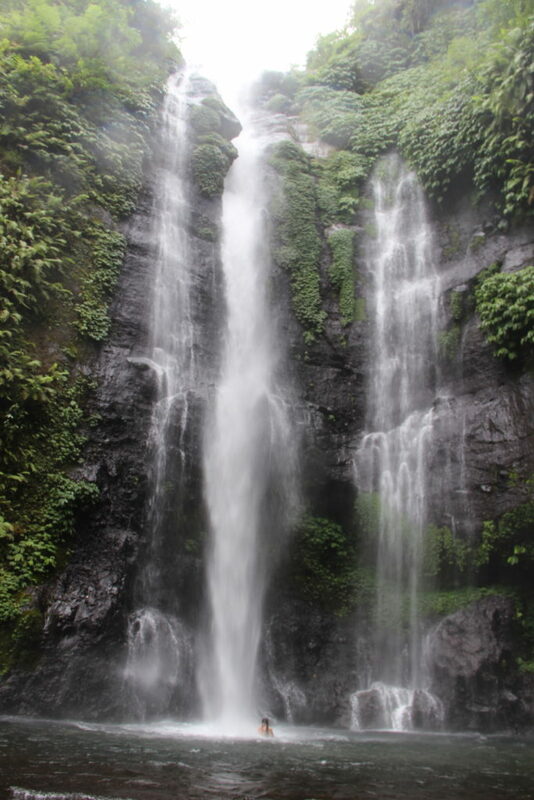 To the north, highlights included Hotel Damai, Menjenan Island, and Sekumpul Falls. My friend and I started our time together at Hotel Damai. It was the perfect place for us to reconnect, relax, and catch up. The staff at the hotel was extremely gracious, the rooms comfortable, and the food delicious. From Damai, we went on perhaps my favorite excursion of the entire trip to the majestic Sekumpul Falls. Diving at Menjenan Island in Bali’s protected National Park was a solid runner up. Swimming underwater through the complex corals and sea fans, exploring all of the underwater creatures was one of those times that my heart nearly exploded in wonder. Southern Bali was much more developed that I had imagined. Cities like Seminyak and Kuta felt more like Miami than this mystical destination I had thought Bali might be. Seminyak was fun nonetheless, and I found one of my favorite coffee joints in the whole world there: Revolver Coffee. It was seriously so good. The nearby Cornerhouse breakfast joint drips Revolver Coffee, too. Be careful when ordering a cappuccino. It is actually a ridiculously good cup of espresso and ice cream. My other favorite spot in Southern Bali is The Temple Lodge at Bingin Beach. This quaint 6 suite lodge is built into the hillside over a couple of great surf breaks. Temple Lodge was built by the current owner’s parents, and each room is unique in its design. The Eagle’s Nest Suite where I stayed featured one of the world’s greatest outdoor daybeds and an outdoor bathroom that was frequented by the local monkeys. My trip ended in the east, and in Amed, I found what I had been looking for all along. Amed is said to be “old Bali”. I perched myself in the penthouse with two outdoor daybeds at Blue Moon Villas for 6 days, and some of my greatest ah-ha’s and most fulfilling writing came through while there. The restaurant at Blue Moon was fantastic, and the staff felt like friends by the end of my stay. From Bali, my husband and I head over to Nihiwatu on the island of Sumba for an epic stay at a very special place. Sumba hasn’t yet been settled by westerners, and its native culture is alive. It’s also one of the poorest islands in Indonesia. Nihiwatu is a luxury resort on a world-class surf break, and it gives back to its island home through employment, medicine, education, and more. We had an incredible time here and would love the opportunity to go back someday. All in all, I would highly suggest Indonesia as a travel destination and can’t wait to go back to explore other islands. Now that I’ve been once, I’ve heard about some other more remote destinations that I’d like to explore, such as Komodo (yes, as the dragon) and Nusa Penida. Note: We took a boat out one afternoon and saw a bunch of dolphins at sunset. It was magical! BUT, DO NOT go on a dolphin “tour”. We did that as well, and it was a morning with about 100 boats chasing dolphins. Baliku Dive Resort – great experience!